Imagine WaterWorks encourages and delights children of all ages and abilities in an exciting environment filled with stimulating sights, sounds and water activities. 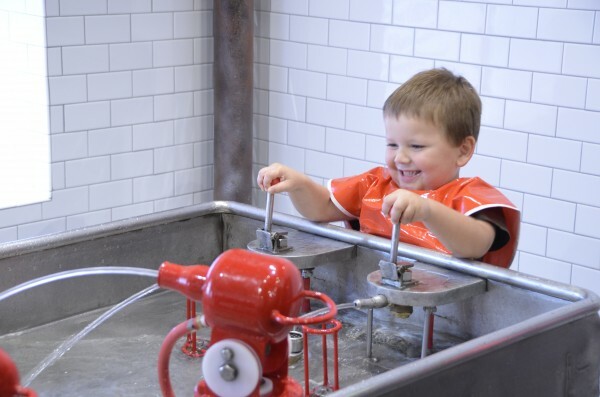 Children will examine the physical properties of water, changes in the physical properties, and witness the fun effects of force, gravity and lift while manipulating simple and complex machines. 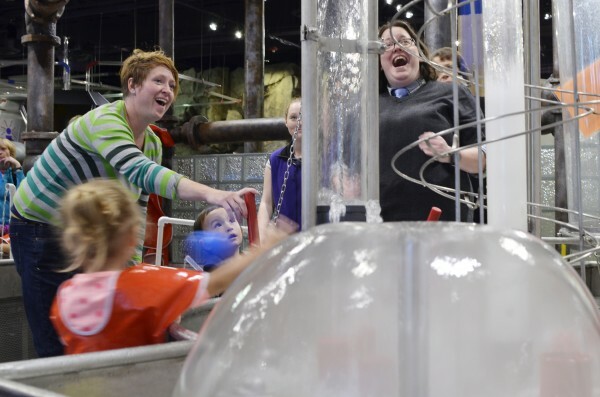 Power of Play: WaterWorks brings life to principles and theories such as buoyancy, gravity and flow dynamics. Children will build gross and fine motor skills through filling, pumping, stirring and squirting. Playful Tip: Remind your child to look up! 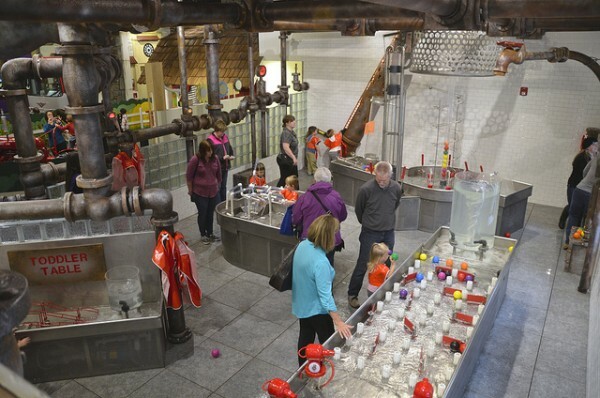 Bustling water activity happens from floor to ceiling in this action-packed exhibit area.